With the upcoming fall season comes the changing of the leaves, that special smell in the air, the enthusiasm of a fresh school year — and, of course, the shopping. Are we the only suckers for the heady excitement of filling shopping carts with crisp composition notebooks and writing utensils galore? But there are two things that usually happen when we are in the throes of BTS shopping: We start haphazardly tossing things into our cart and get so excited that we forget half the things we came for. The following must-know back-to-school shopping tips will help you become a master and make it out of the store without having to schedule a follow-up trip. Because everyone wants a one-stop shopping experience that's time-efficient and a blast, right? Take advantage of living in the digital age. When you follow back-to-school hashtags, you can catch wind of great deals as soon as they hit the shelves. Bonus? Other parents will share their secrets and scores for your benefit. Check out: #backtoschool #backtoschoolshopping and #bts for starters. If you have your eye on a particular prize — say, a super-cute Cat & Jack sequin unicorn backpack your kid has been begging for — see if you can set up an email alert for the brand (or even that specific item). If you set these up a few weeks out, you'll have time to monitor the price and spring into action when it's too good to pass up. Instead of toting around a handwritten list that's been folded so many times it looks like origami, consider filing your list digitally. After all, you'll probably lose a piece of paper, but it's far less likely your phone will wind up in the lost and found. Wunderlist and Todoist both offer great options, but a quick Google search will yield a wide variety of apps to choose from for your list-making needs. Hop into Google Drive and create a shareable online spreadsheet to keep track of exactly what your student needs for the new school year. Not only is this a great visual to recenter your focus when you start wandering down the aisles aimlessly, but it's also perfect for sharing with family members who might be picking up supplies for your child. If you're heading to Target for supplies (and, really, who isn't?) and prefer to shop in person rather than picking up or delivery, their store app is a lifesaver as well. It'll tell you what items your home store has in stock and even has a map of where each department is located. Organize your list by department too. Then you can use the store map to figure out where you need to go in order instead of zigzagging and going from the clothing department to the office supplies and then back to clothing. Cutting out the back-and-forth will save you hours. Back-to-school, like the holiday season, is one of those times when everyone is shopping — so stores tend to get a little crowded. But if you avoid peak hours, you'll have a little more room to breathe and enjoy yourself. How do we figure out what peak hours are, you ask? Don't worry; it's easy. 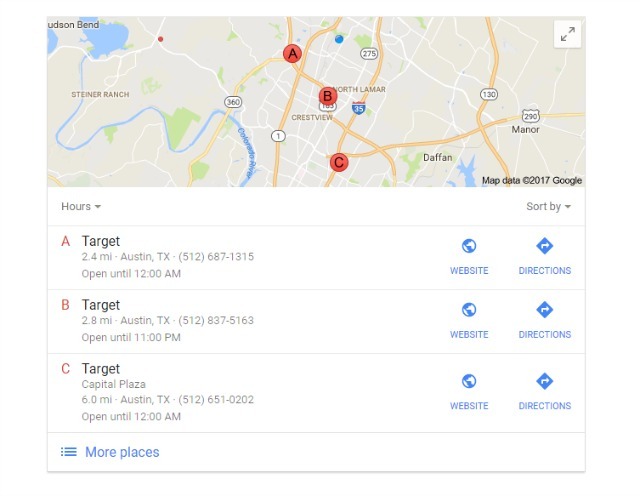 Go to Google and search "[the name of the store you are going to] near me" ("Target near me," for example). A list of the nearest stores will pop up. Click the store near you and scroll down a little below "See what's in store," and you'll find a graph of popular times. It'll even give you a live view of how busy it is at that moment in time. Now is not the time to skip your morning meal; you need sustenance! 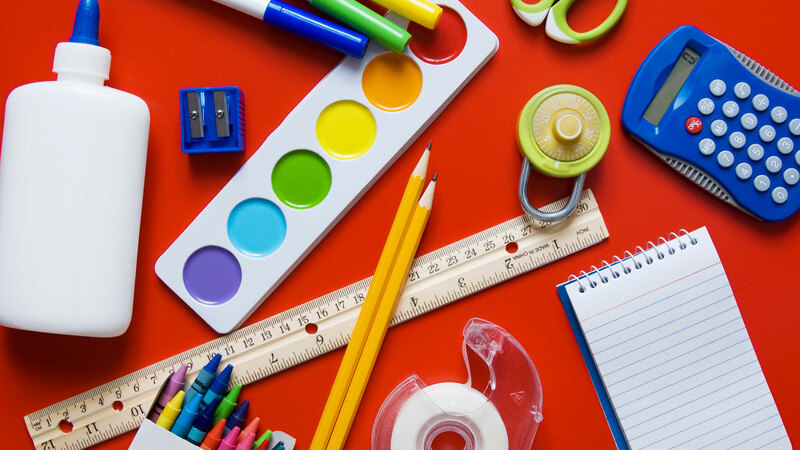 Back-to-school shopping can be fun, but it's also pretty much a marathon. You need your energy while looking for the best loose-leaf notebook paper and three-ring binders. If your kids are coming along for the shopping experience, make sure they eat a wholesome breakfast and have an energy-boosting snack to scarf down too.